For the past decade, Ty has been delivering his top sports picks to clients all around the world. Football, Baseball And Basketball Sportsbooks have no chance verse Tys information on who to take against the spread. 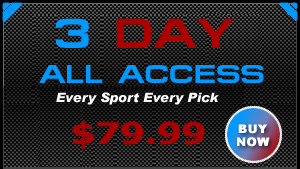 Offering online and 24/7 phone access to a multitude of picks, Ty provides his picks for each sport in season everyday. On any given week there is seven figures bet on Tys Information alone. Documented and proven results are just the beginning when using Tys Terrific Tips as your sports advisor. You will have all the regular plays for that sport. Ty does not hold out on any picks to his clients. Ty and his staff also offer the Exclusive T3 Football Sports Club. 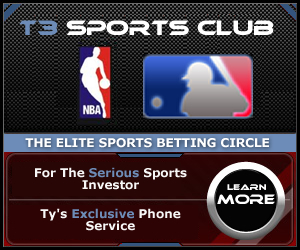 The T3 club will work with you one on one by phone and is a perfect solution for a serious sports investor.